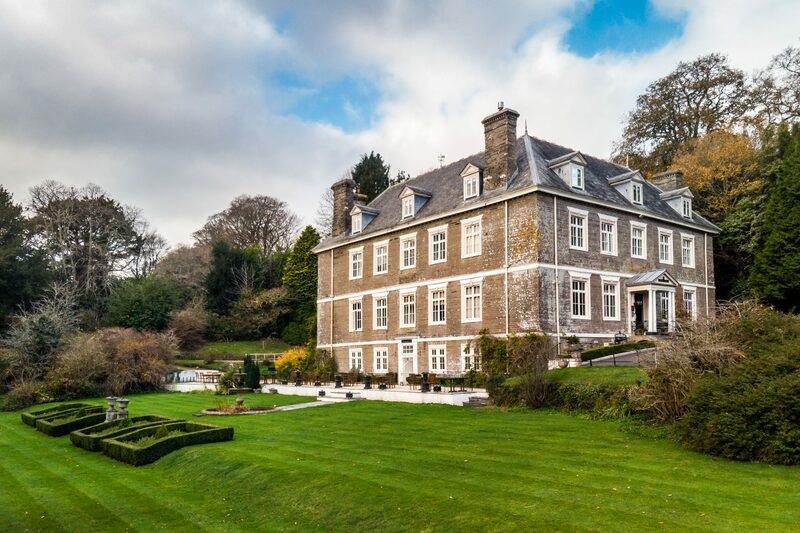 If you’ve ever daydreamed of being Lord & Lady for a day or even a weekend, then you’ll adore this beautiful Manor House in Goveton, near Kingsbridge! 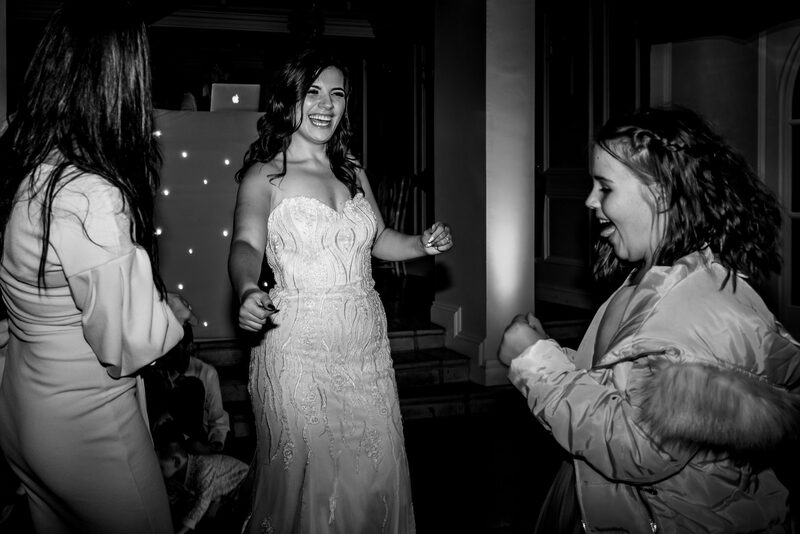 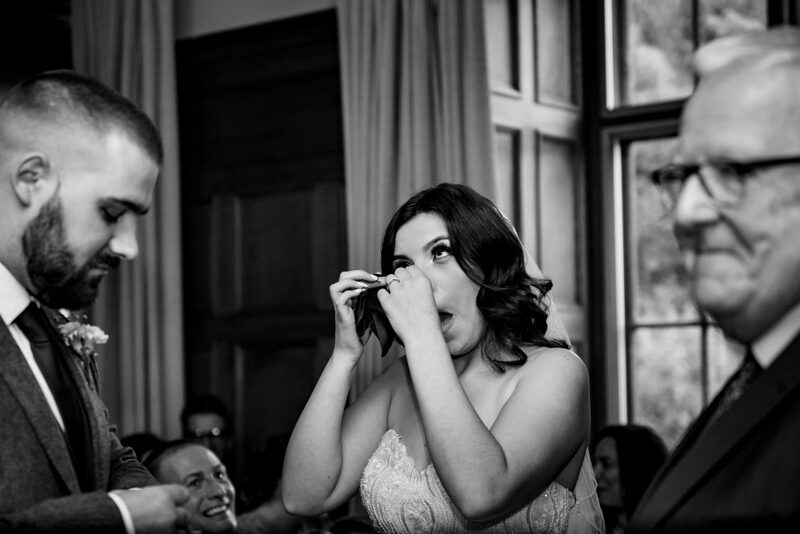 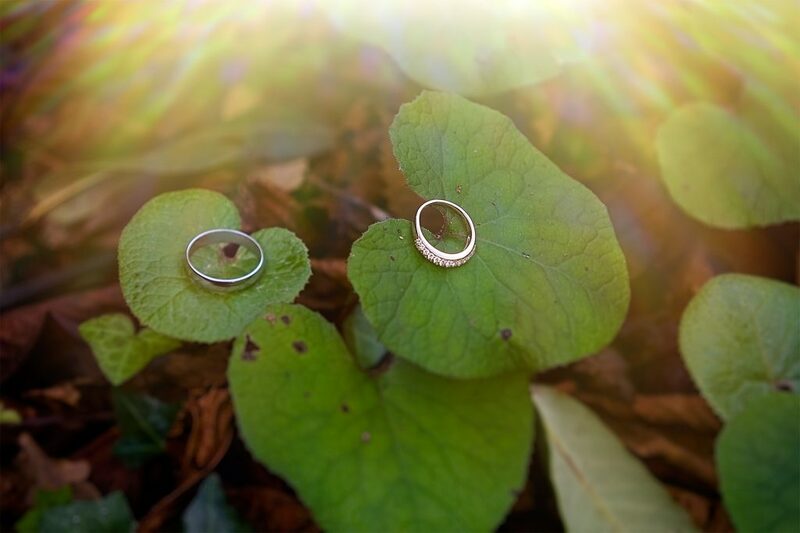 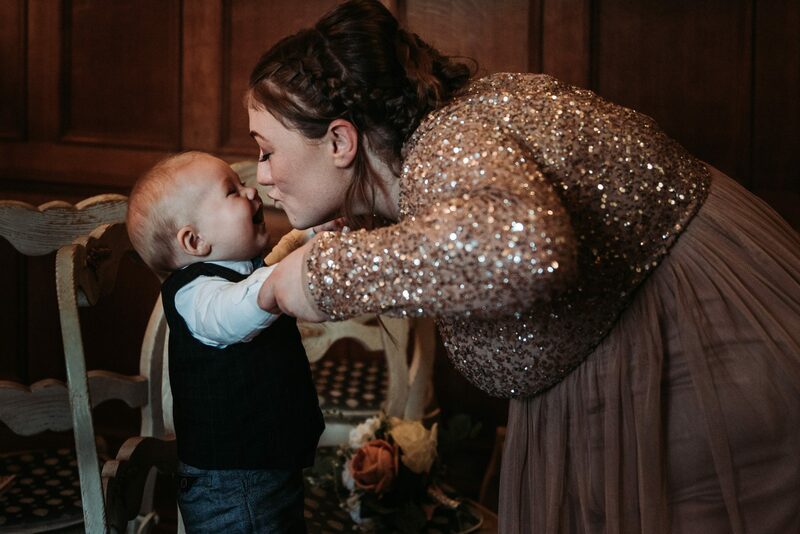 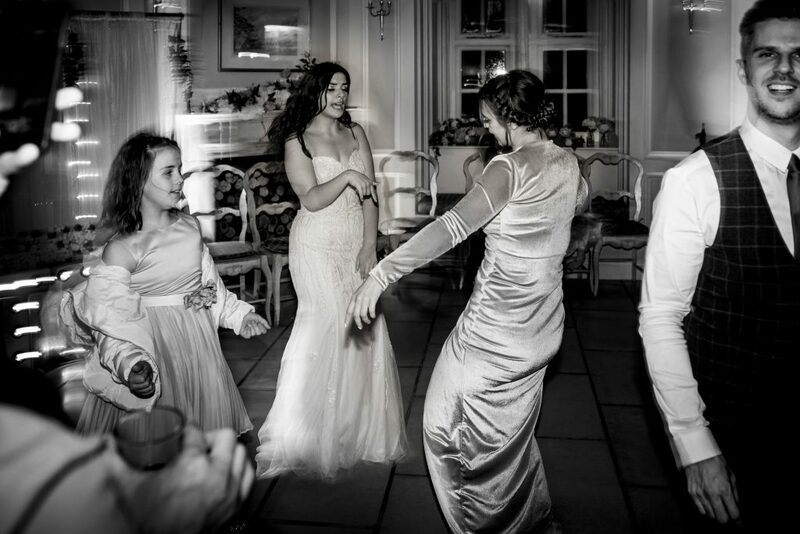 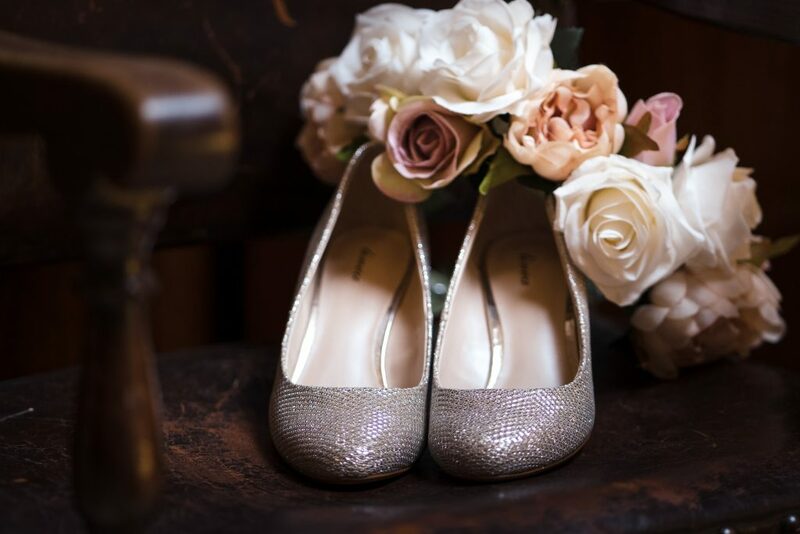 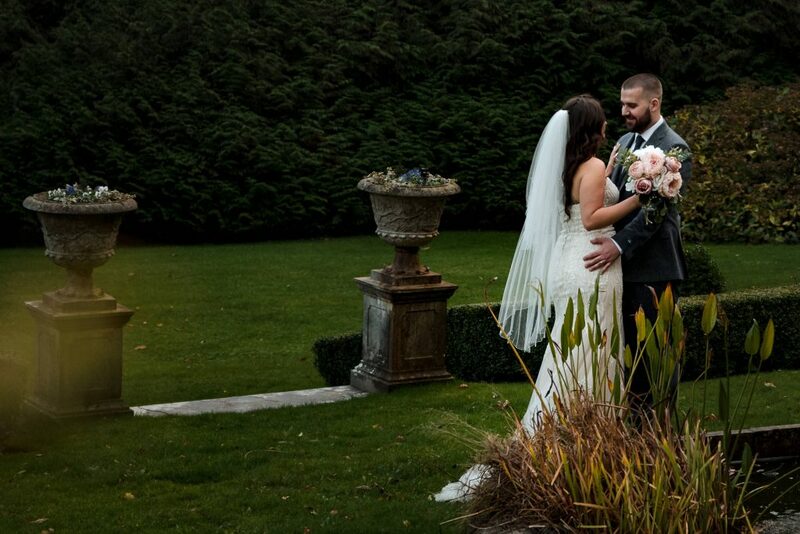 Chloe & Sam were married at Buckland Tout-Saints, Goveton, near Kingsbridge last November. 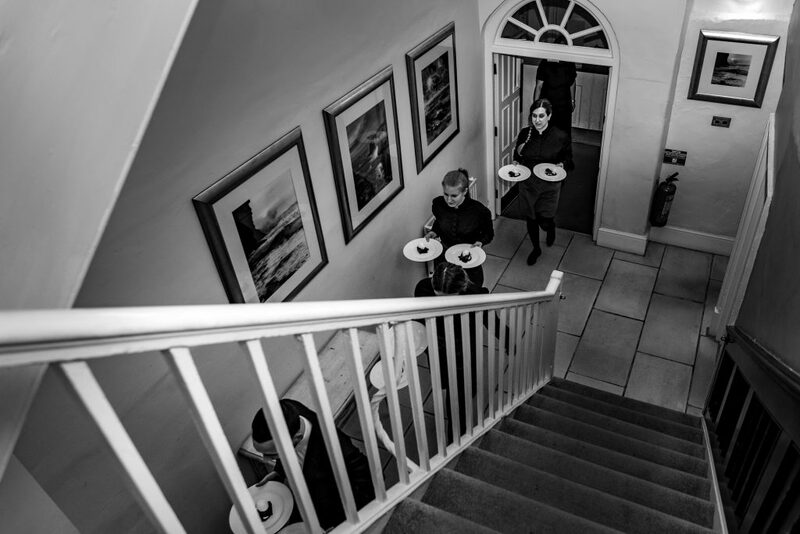 It was a perfect venue to host their family & friends. 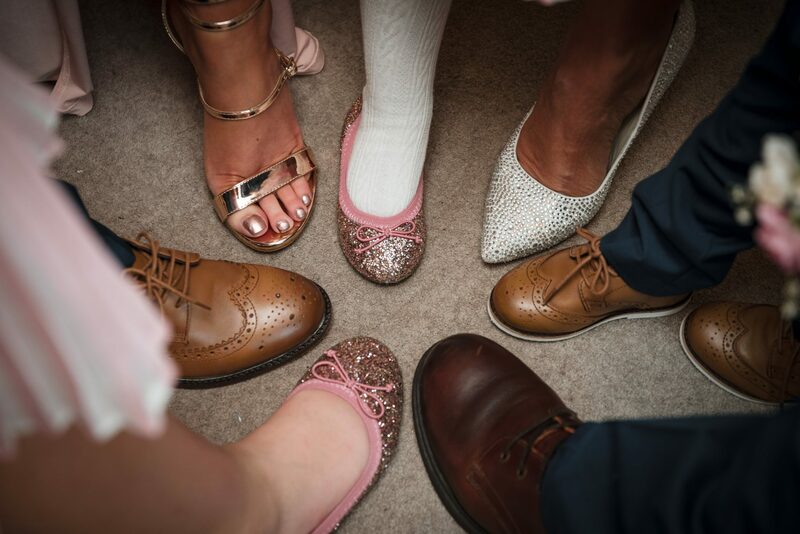 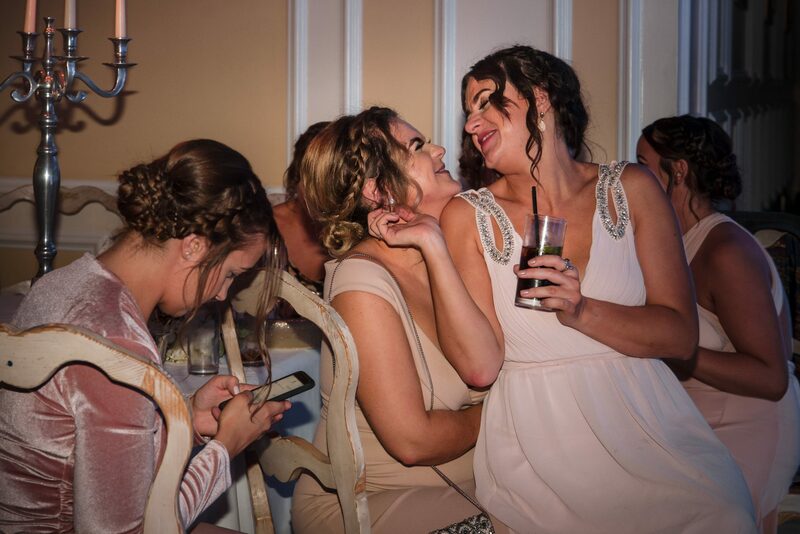 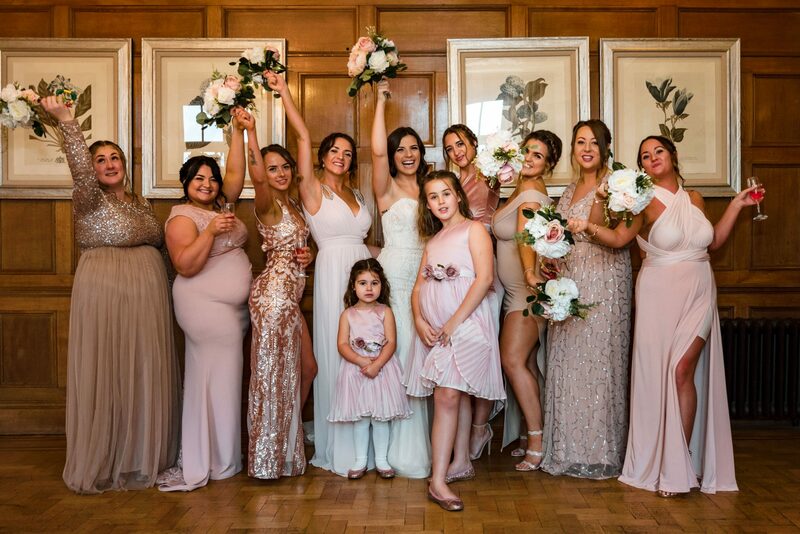 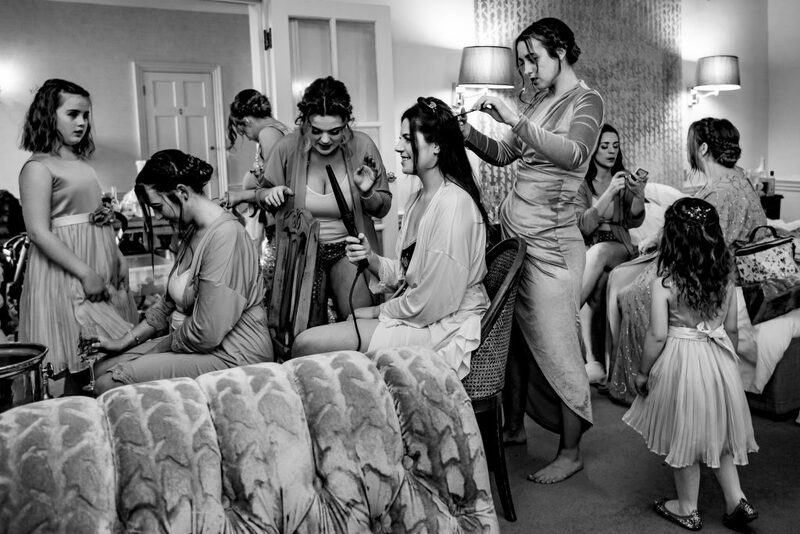 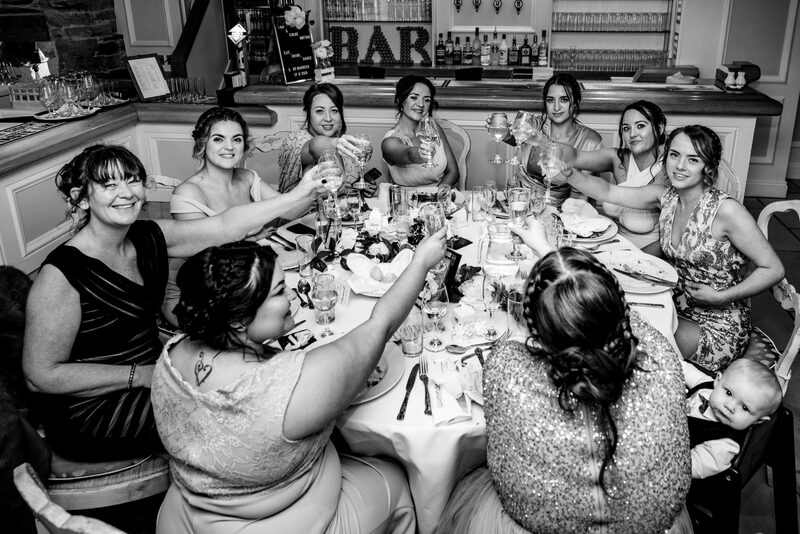 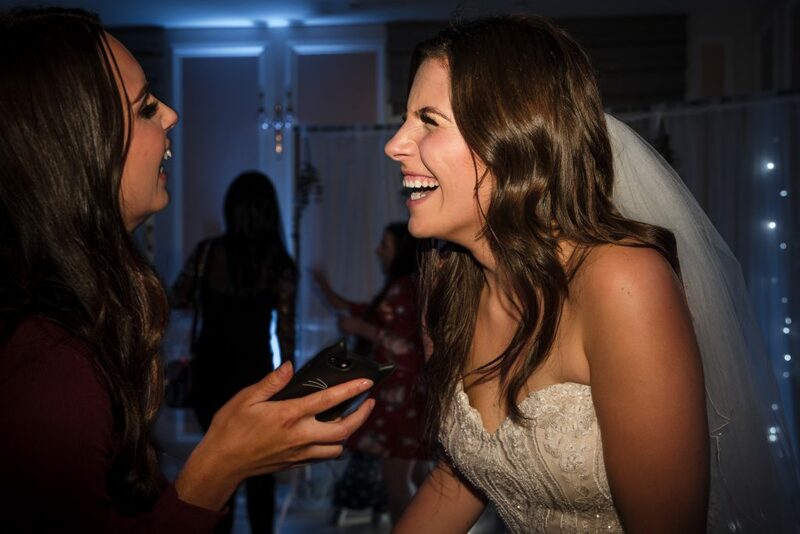 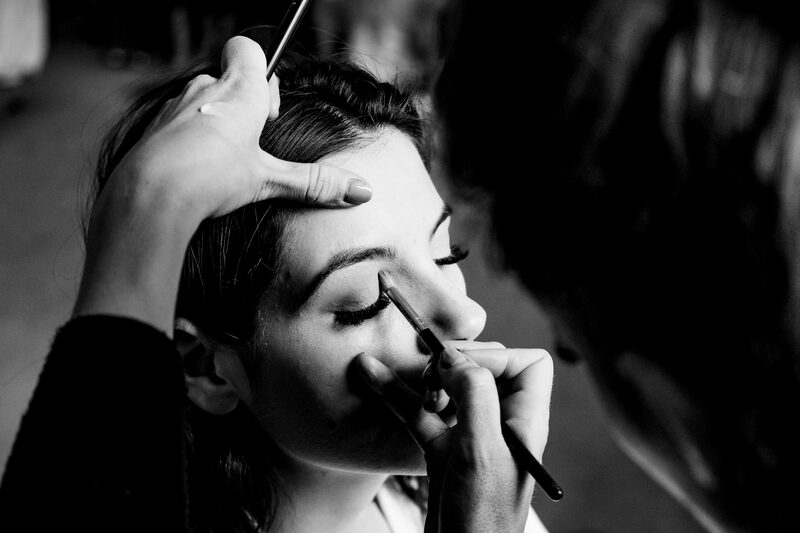 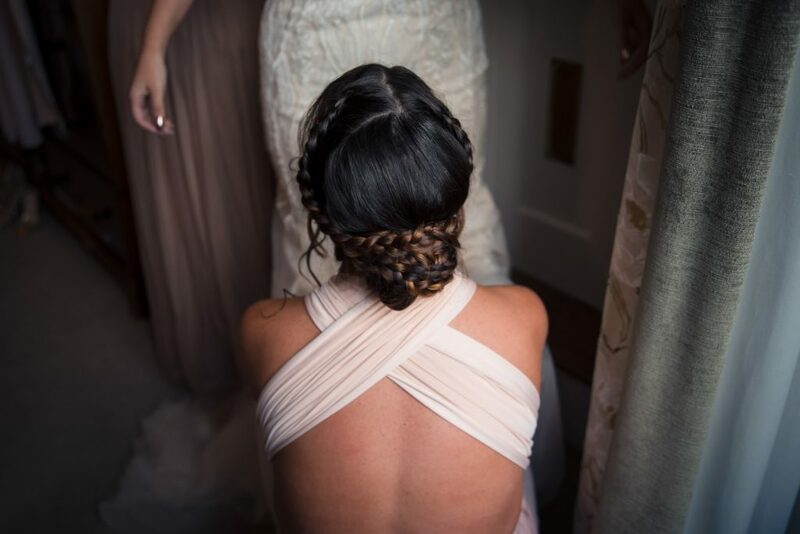 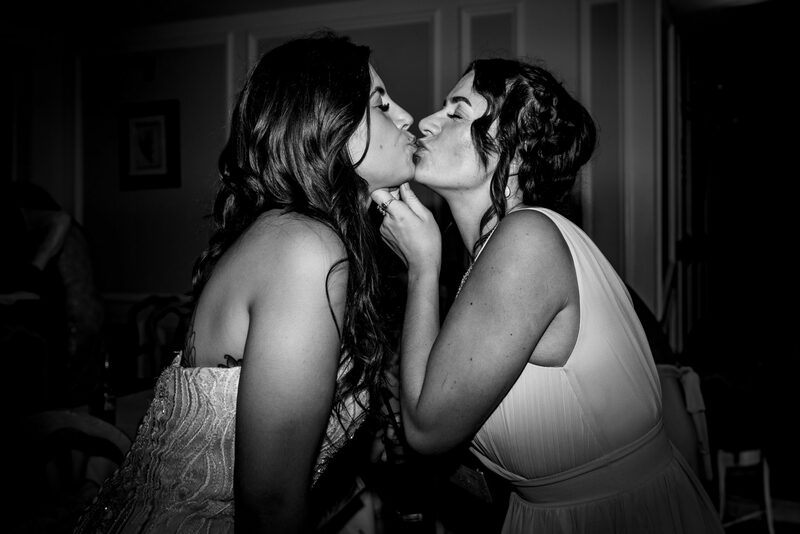 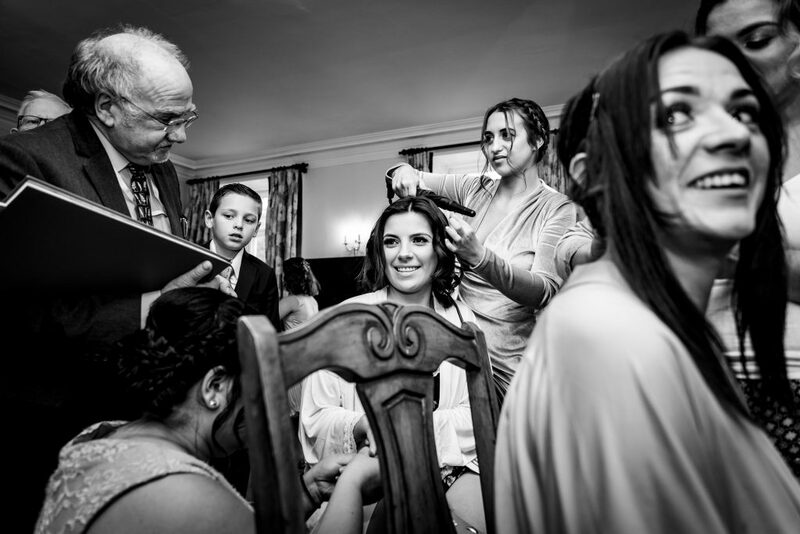 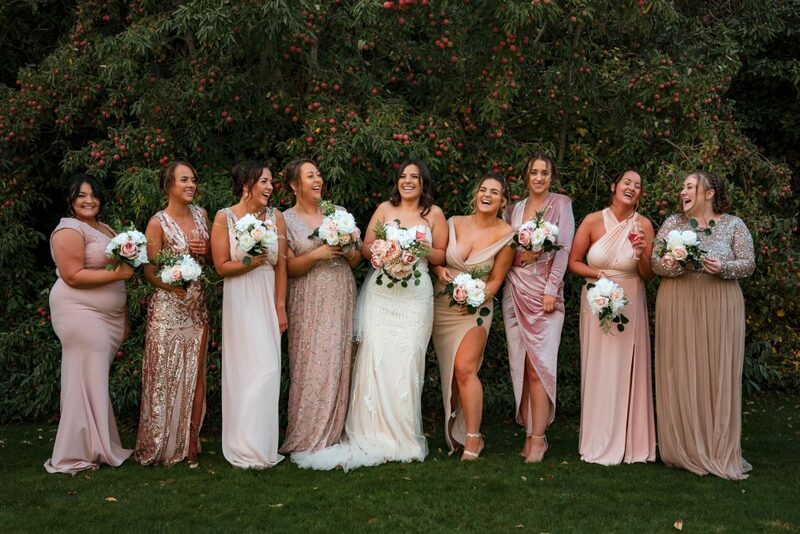 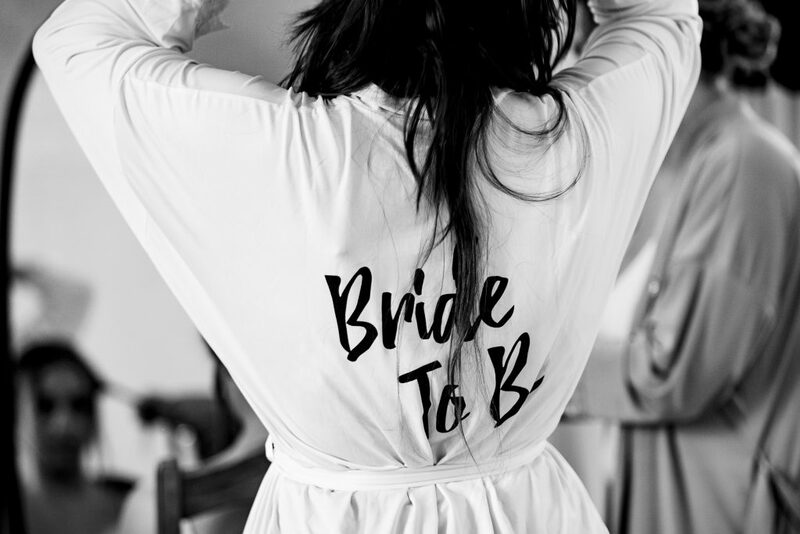 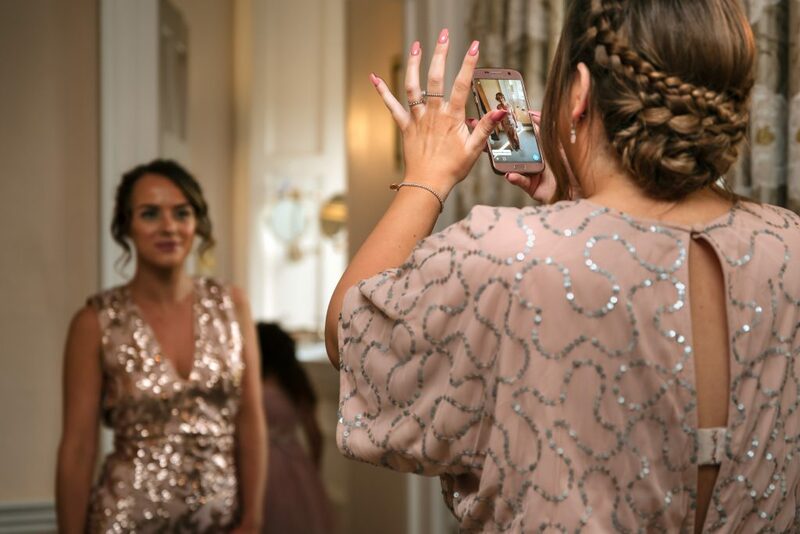 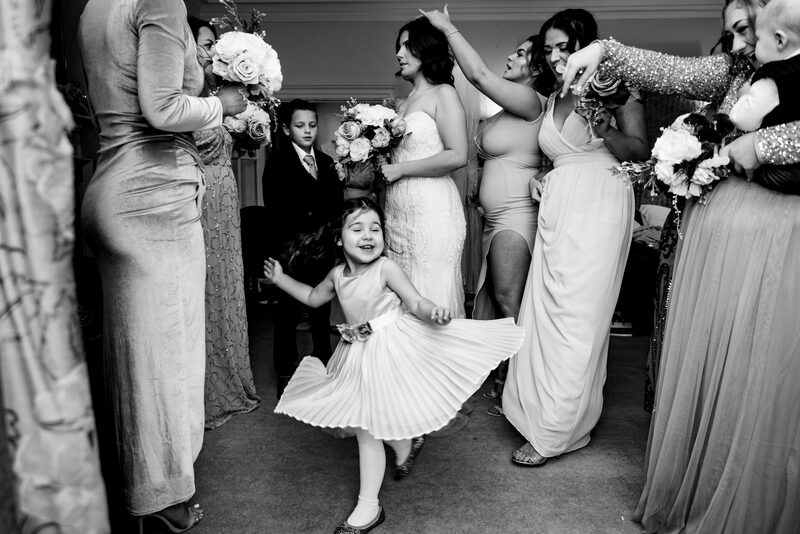 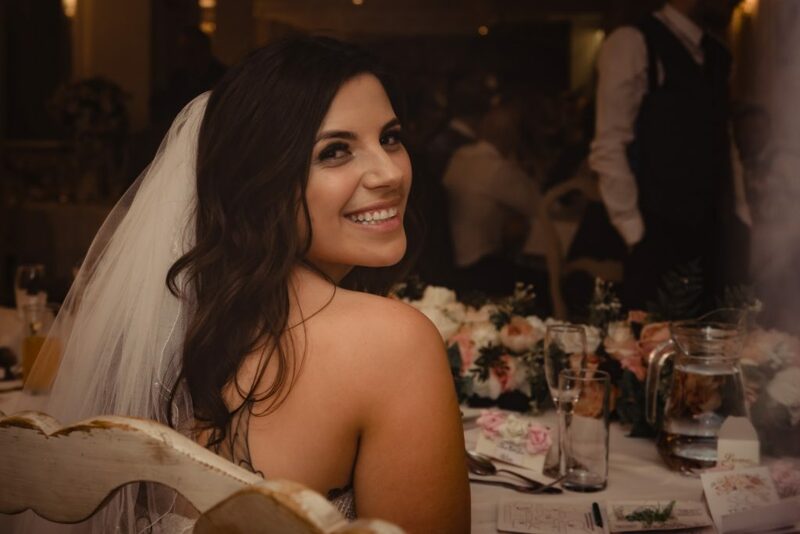 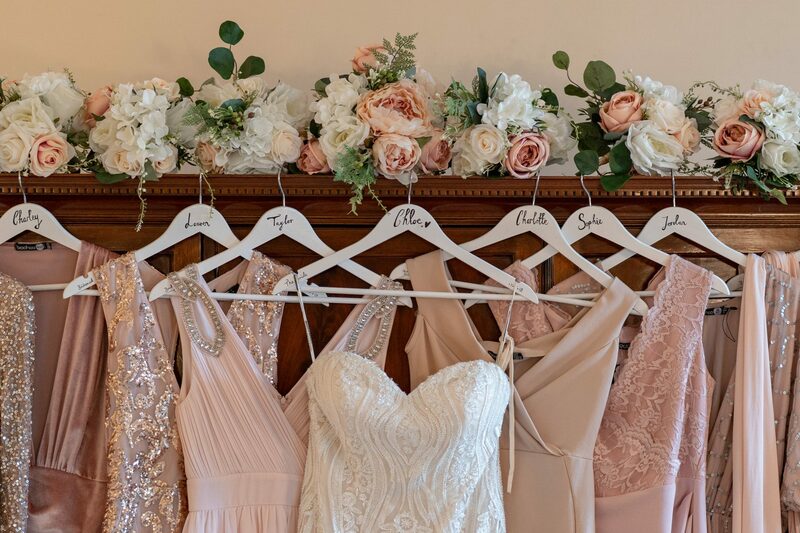 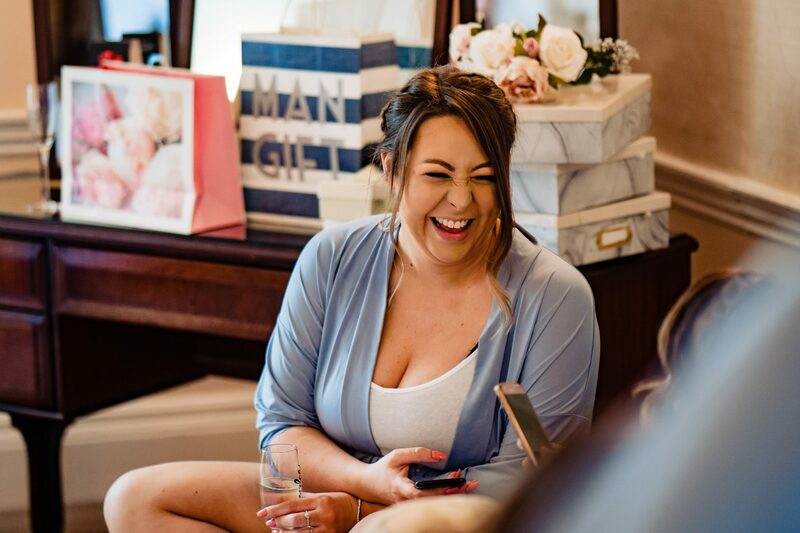 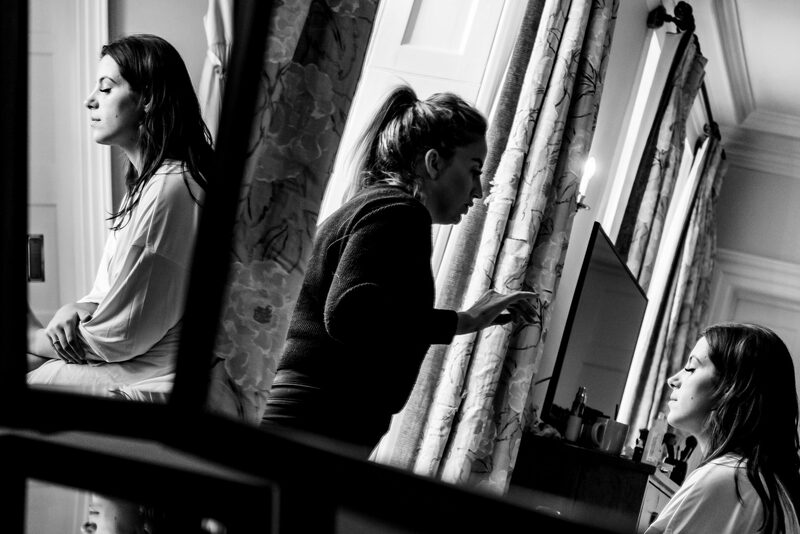 Chloe’s bridal preparations were in the very spacious & luxurious Bridal Suite at the hotel with her ‘best-friend’ tribe of 8 bridesmaids, and there was such a relaxed vibe. 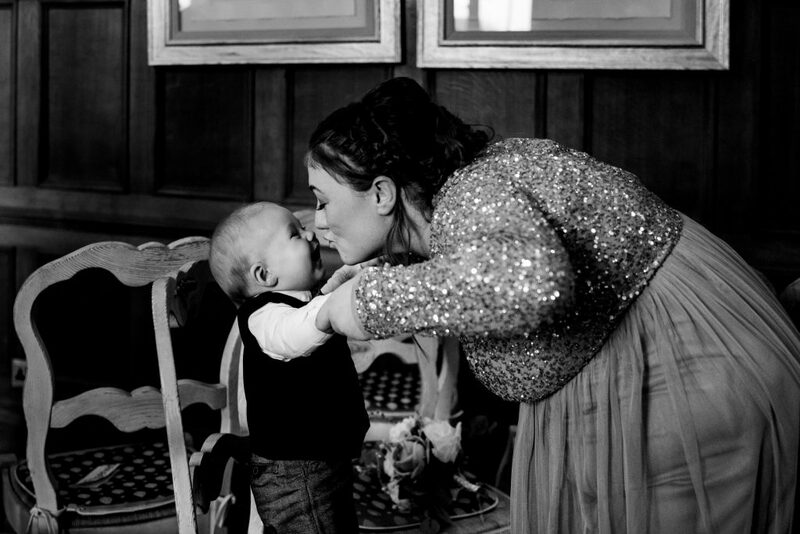 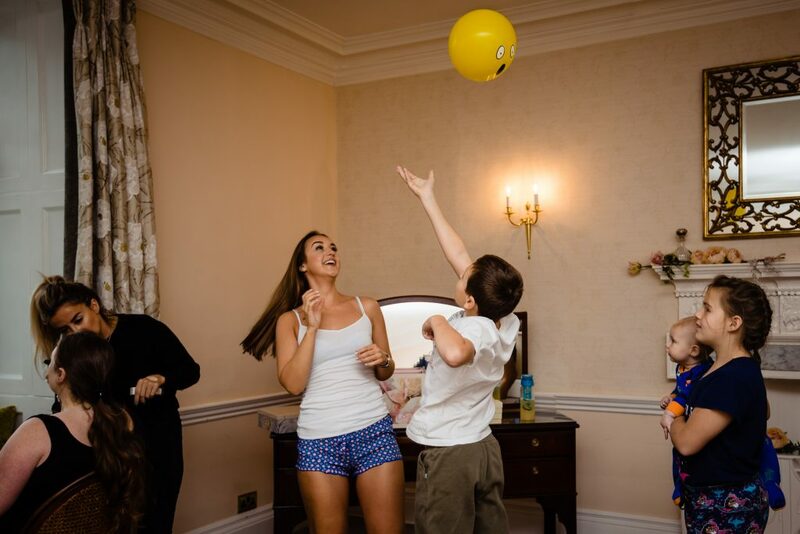 It was a very busy bedroom, to say the least, and Chloe’s children were joyous & free-spirited the whole time. 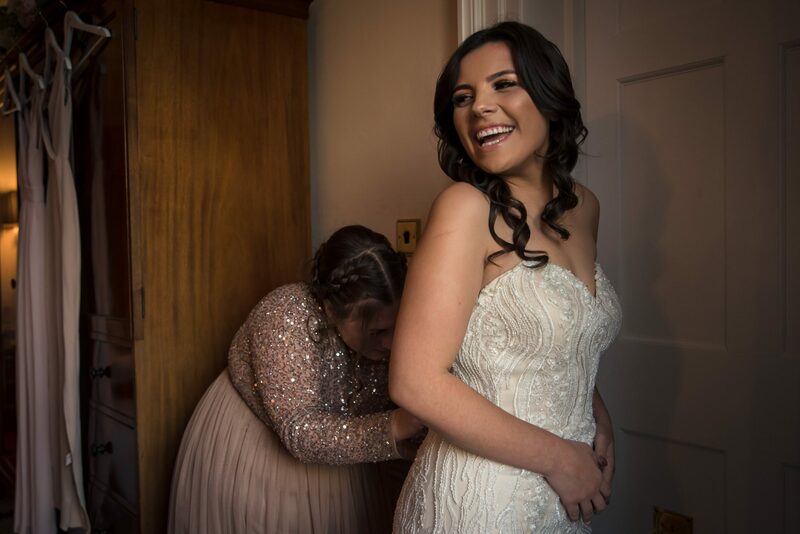 Chloe wore a strapless, sheath style dress and looked amazing while Sam got ready at home, accompanied by his best man and work colleague. 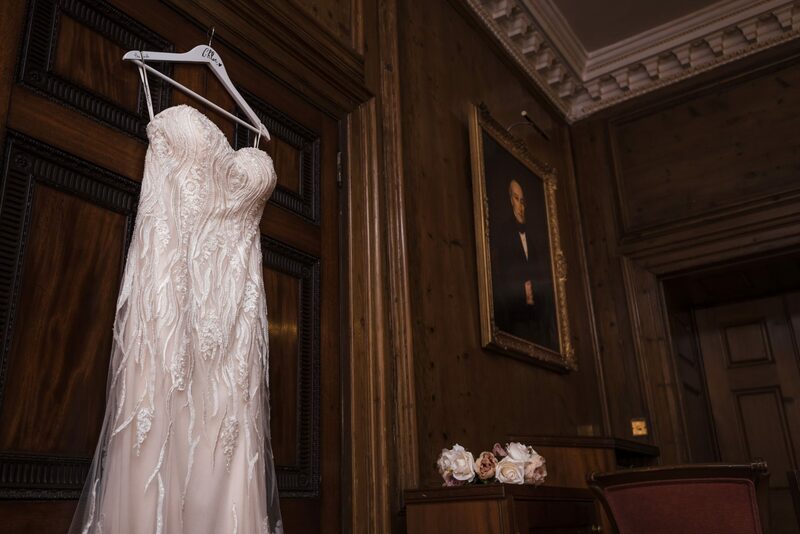 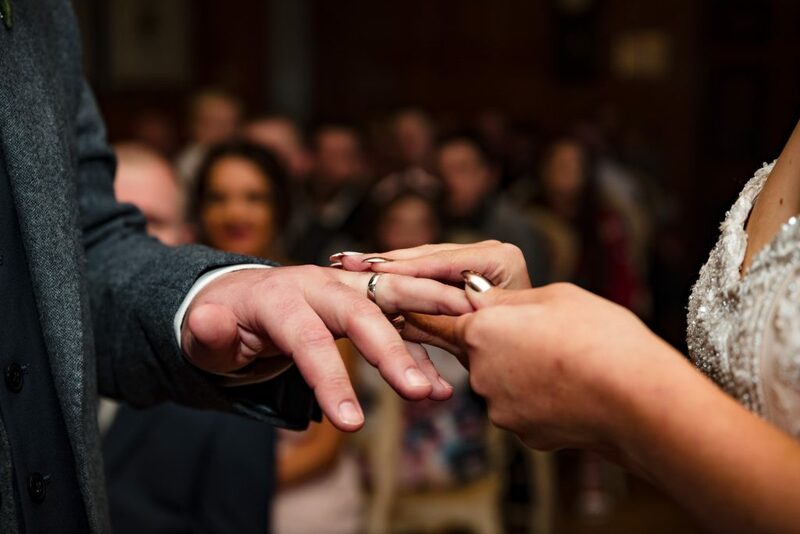 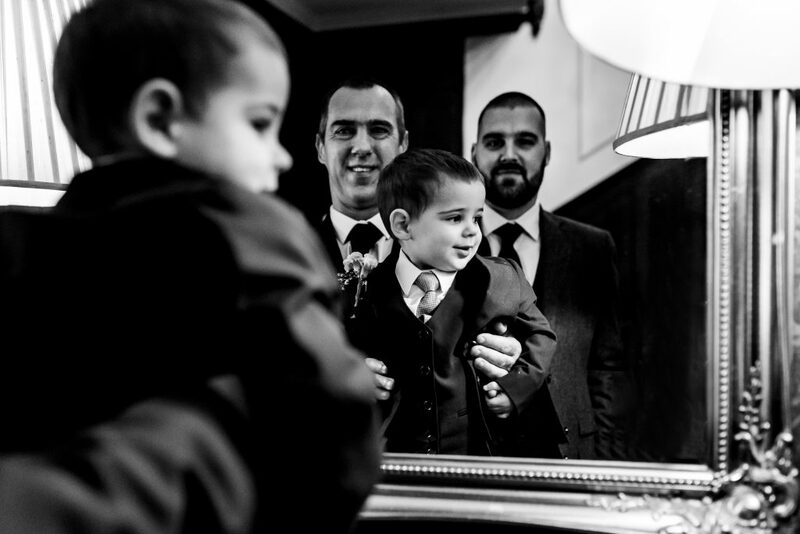 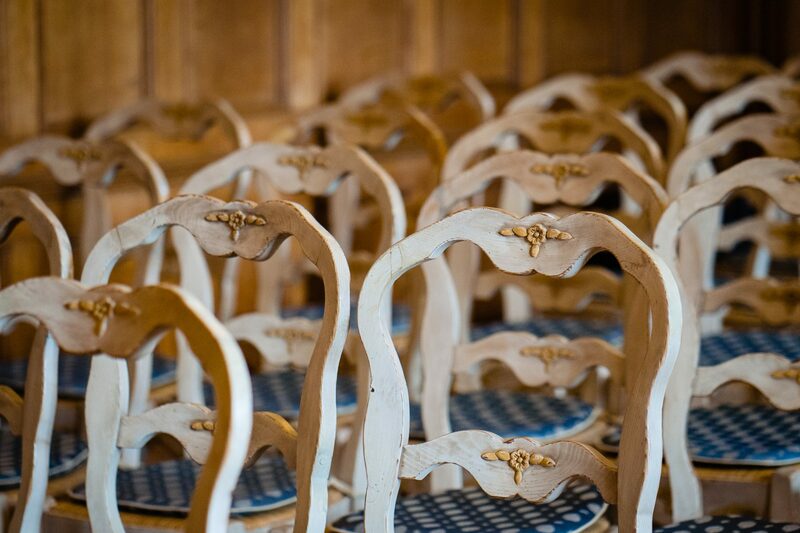 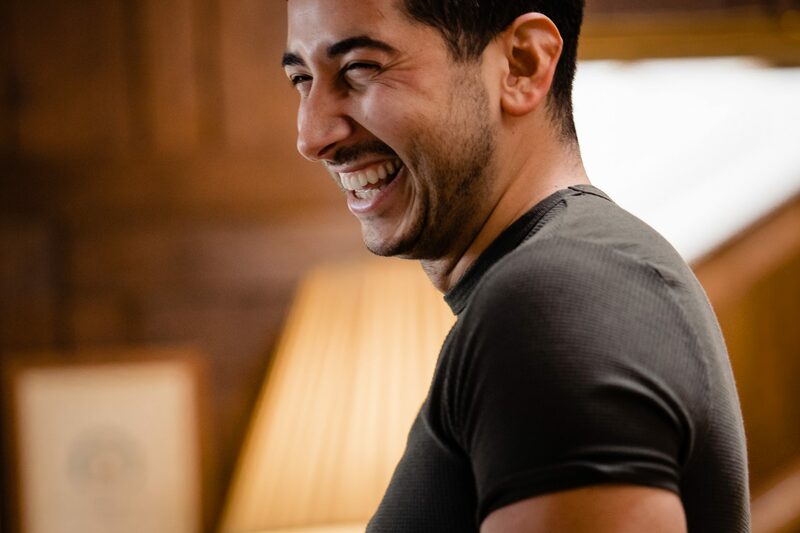 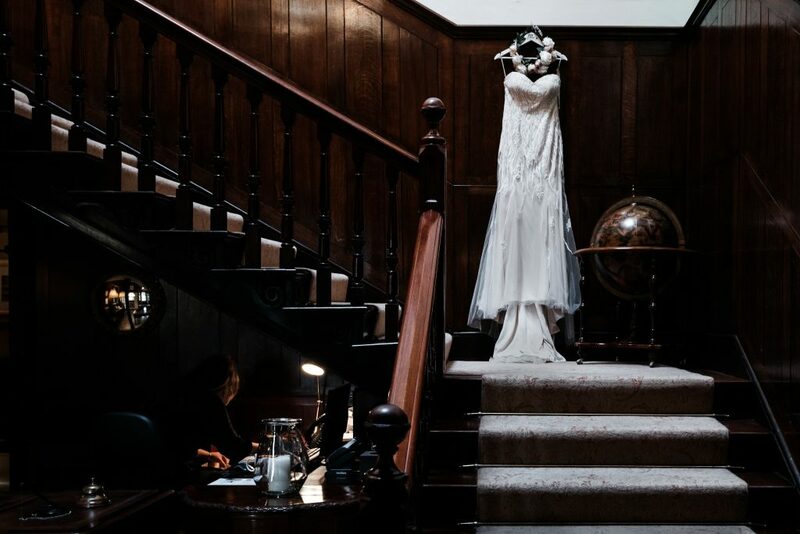 The ceremony took place in one of the magnificent wood-panelled drawing rooms in the hotel. 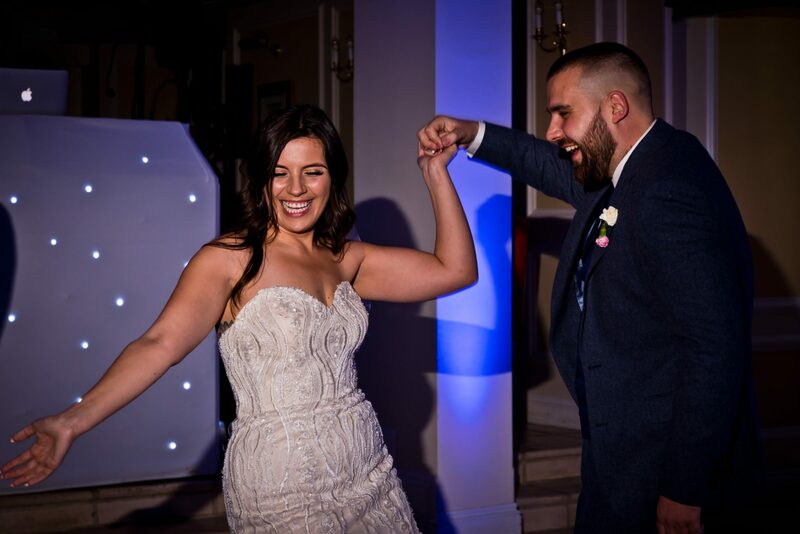 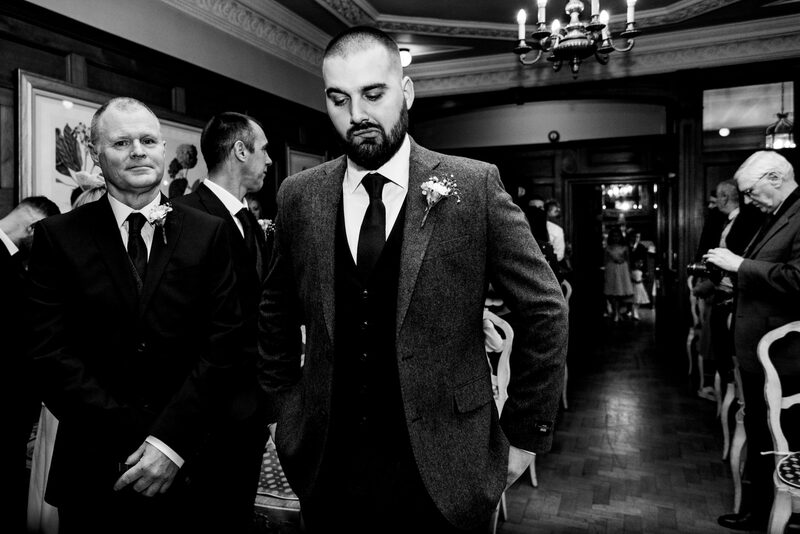 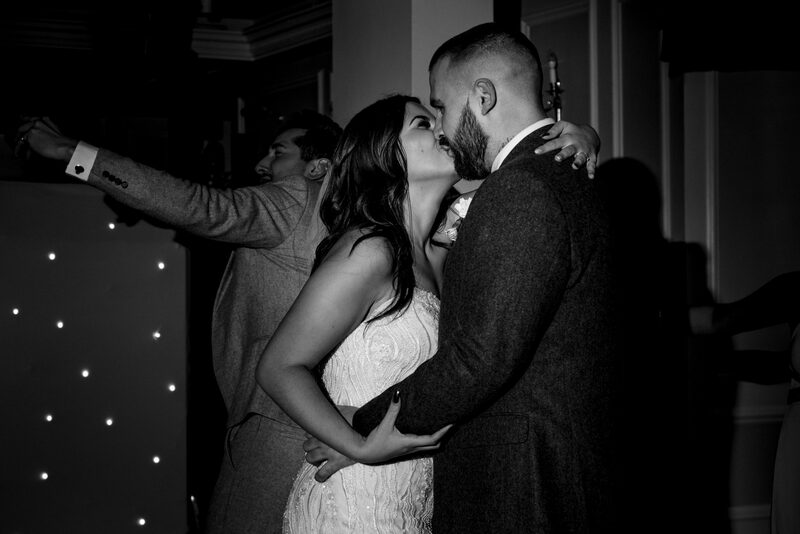 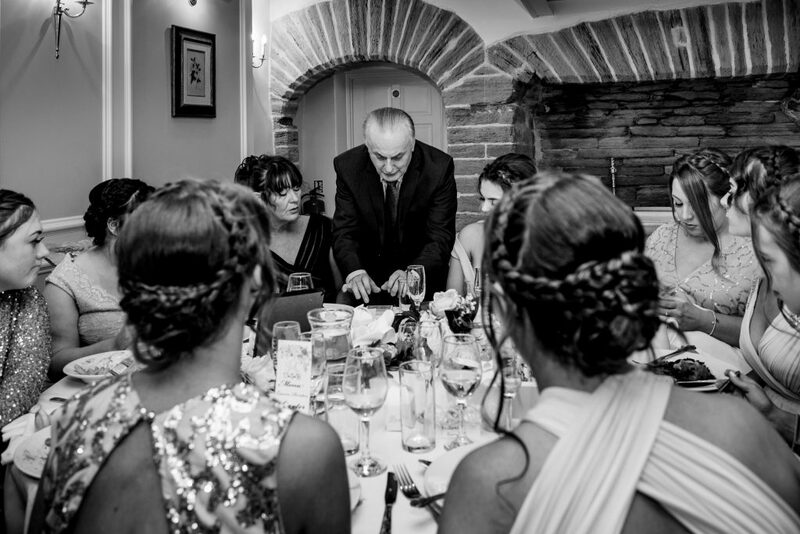 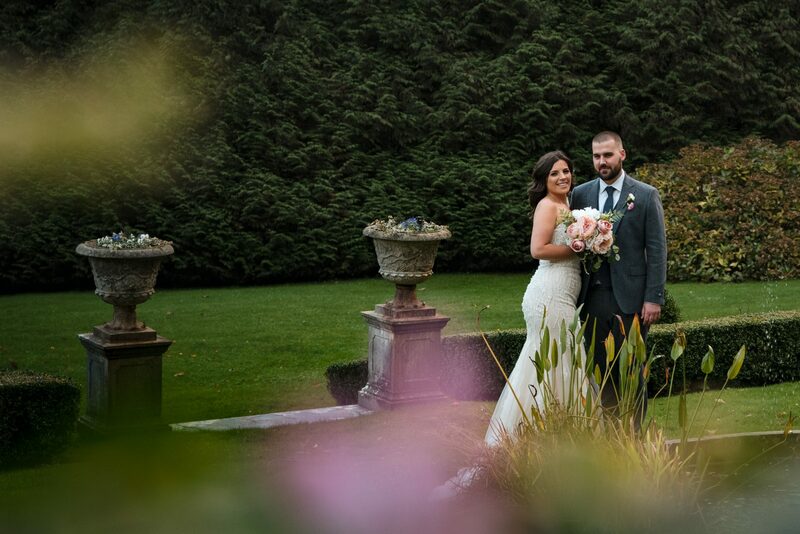 The ceremony was cosy and perfect for their intimate surroundings. 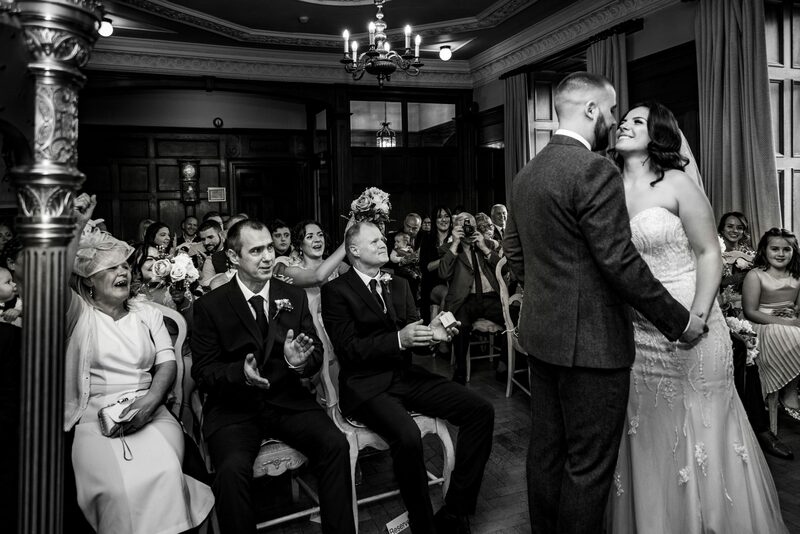 The ceremony began with a lovely piece of music played by a very talented harpist and finished with another harp number while walking down the aisle together along with their five beautiful children. 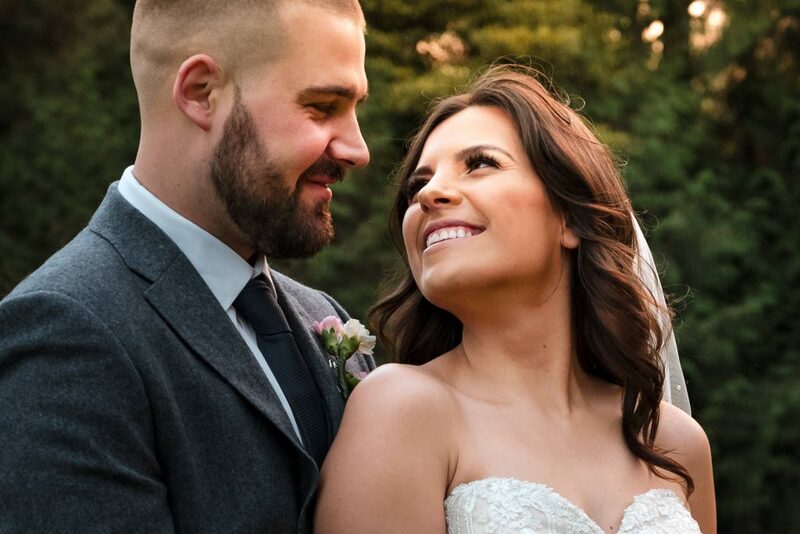 It was a moving ceremony, full of love and private smiles. 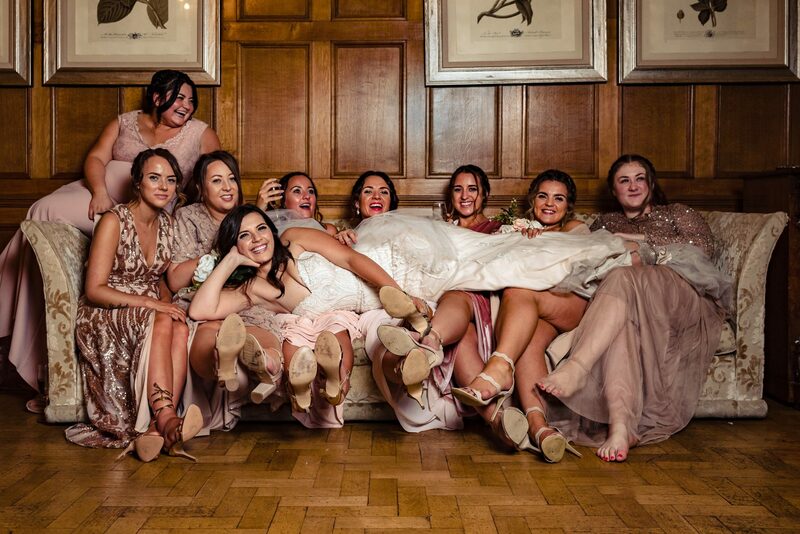 After the ceremony, we took time out for group & portrait photos before we lost the light completely. 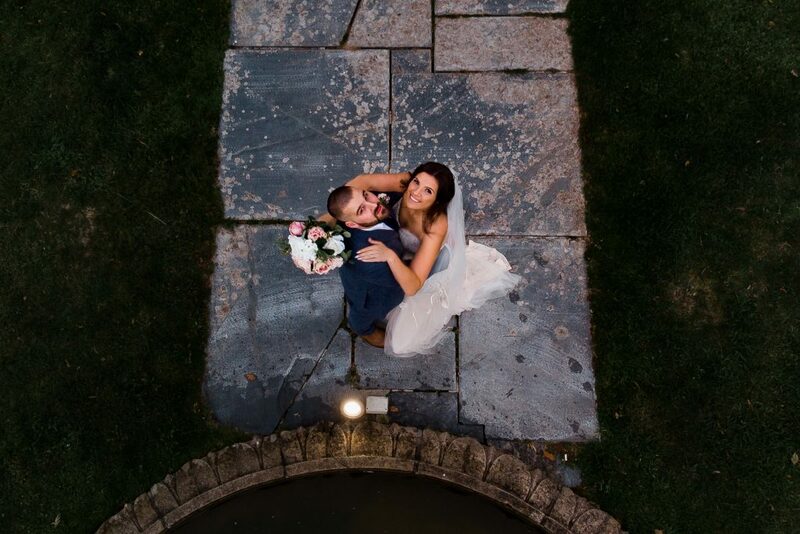 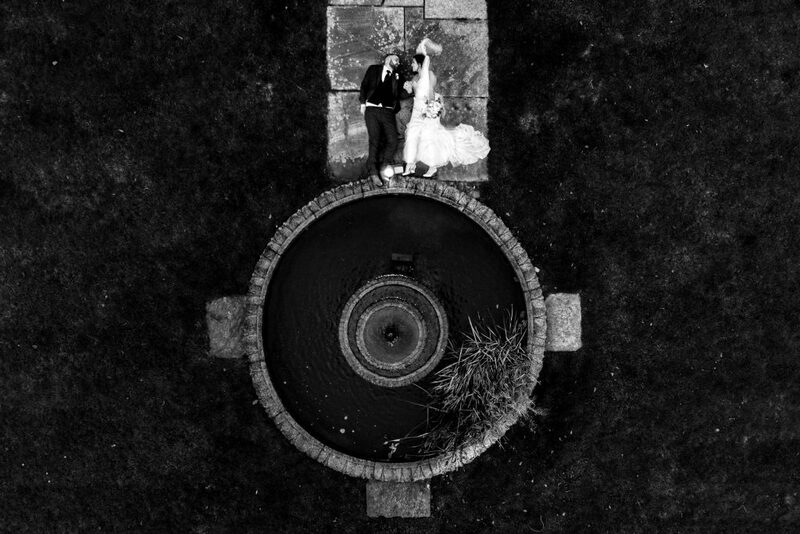 I did also get the opportunity to take my drone to the skies to capture the magnificent hotel and grounds and also take a couple of aerial portraits of Chloe & Sam too! 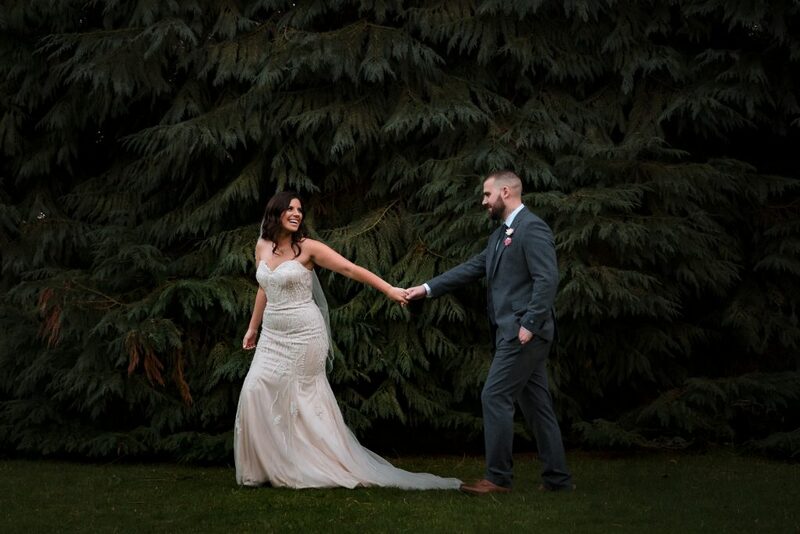 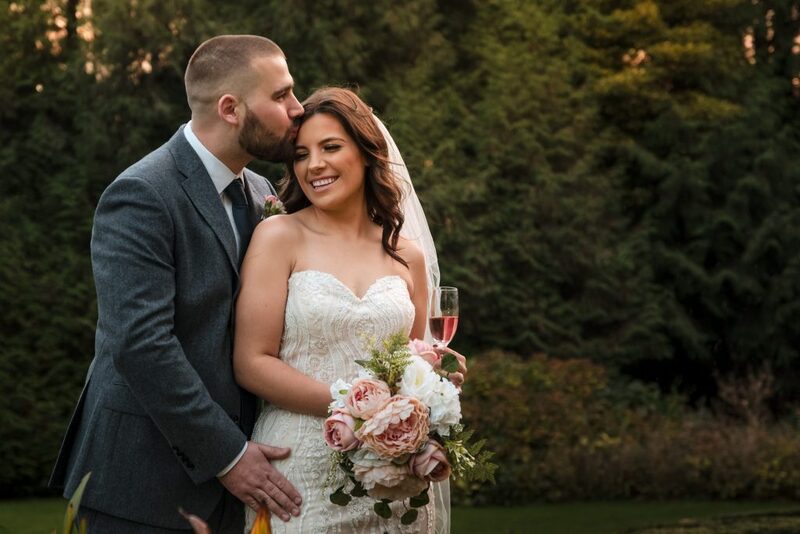 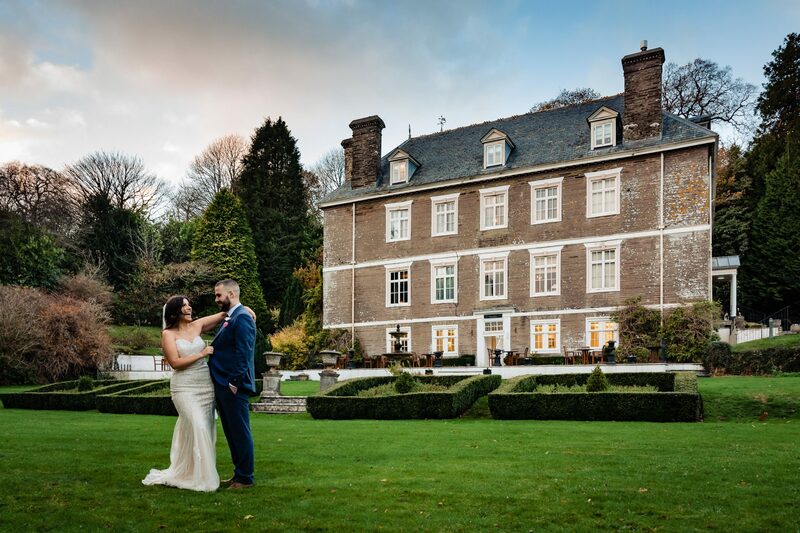 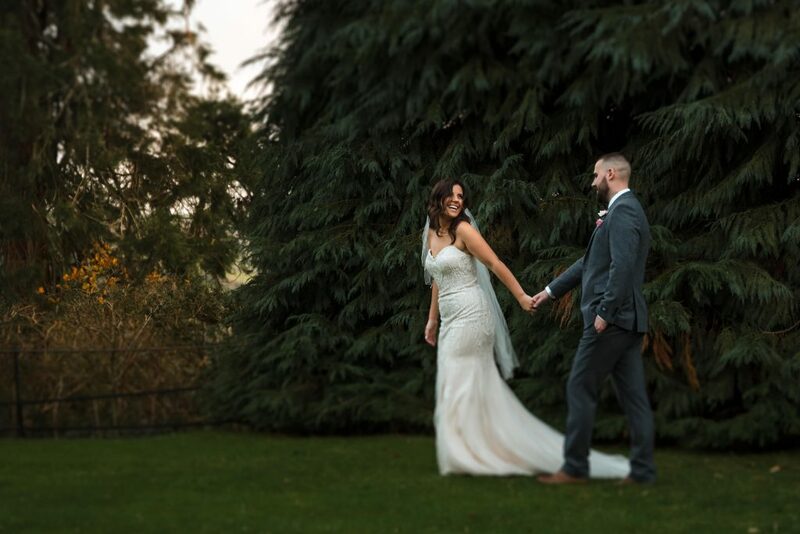 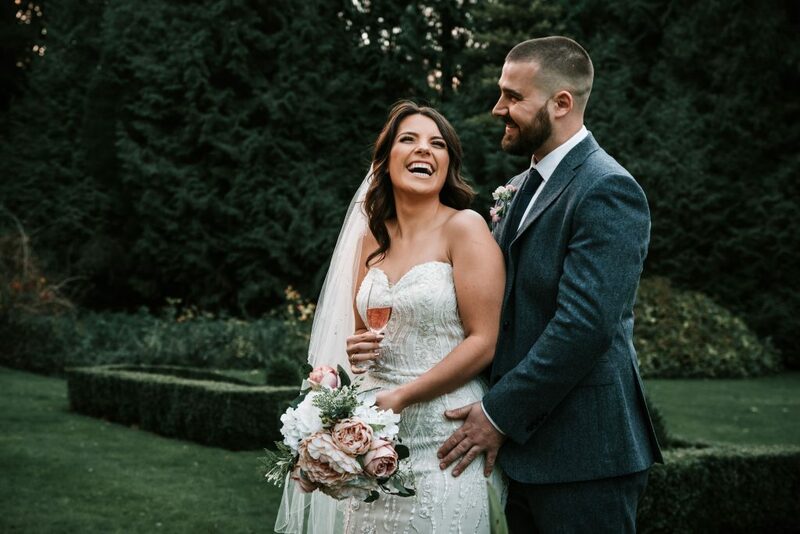 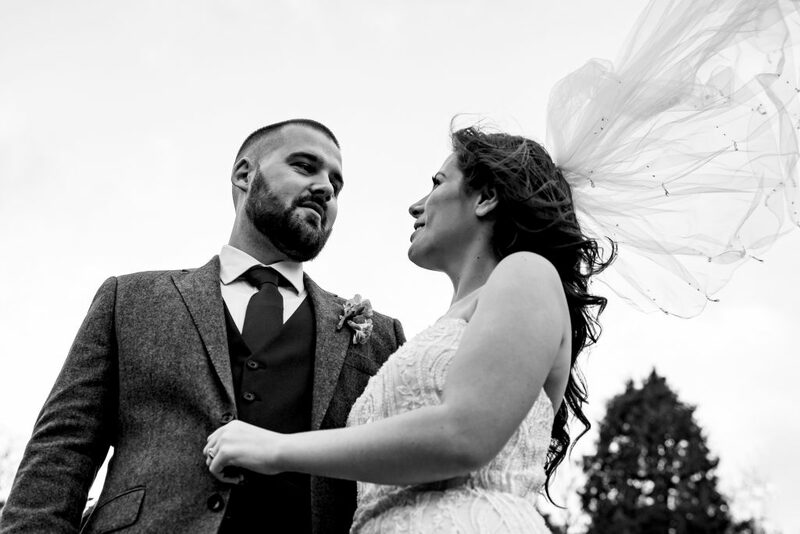 Chloe and Sam chose to have their wedding at Buckland Tout-Saints because they could have the place to themselves for the weekend. 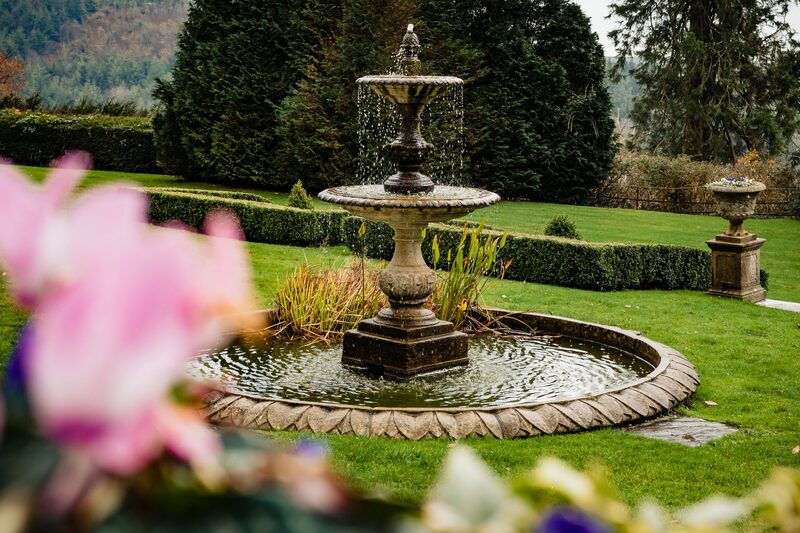 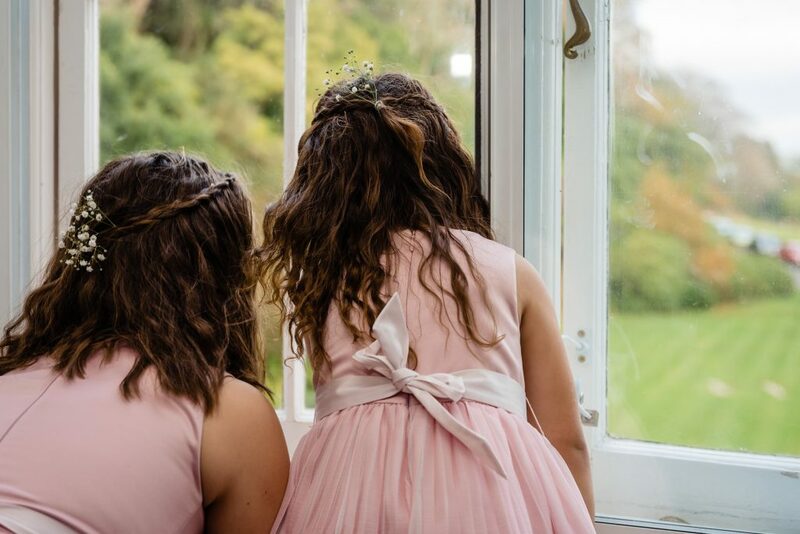 Buckland Tout-Saints is a stunning historic country house with a romantic feel to it, especially around the grounds when the sun goes down, looking over the valley below and toward the distant hills. 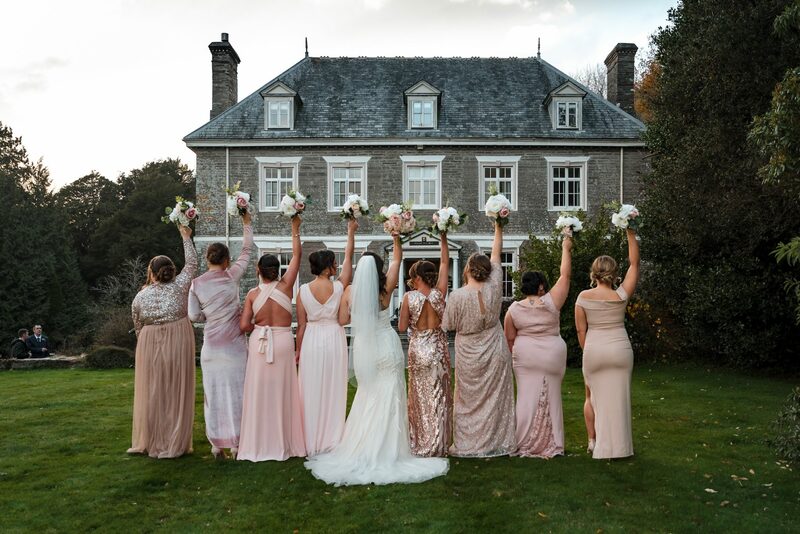 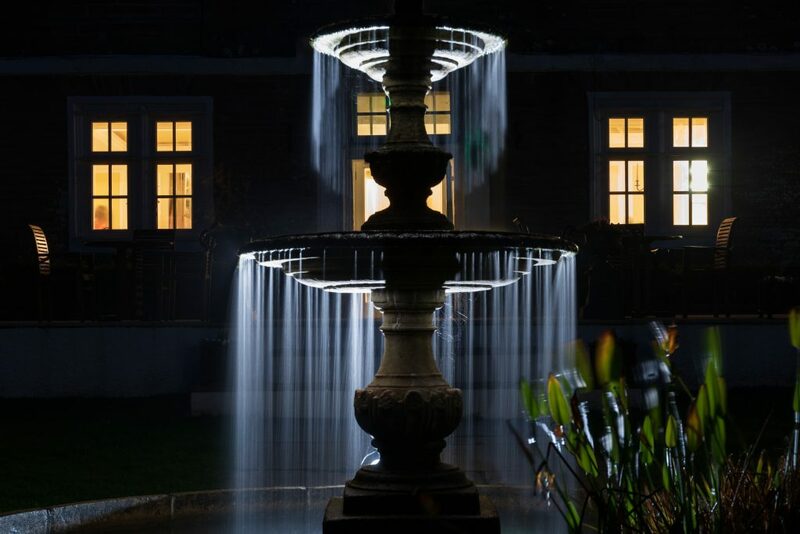 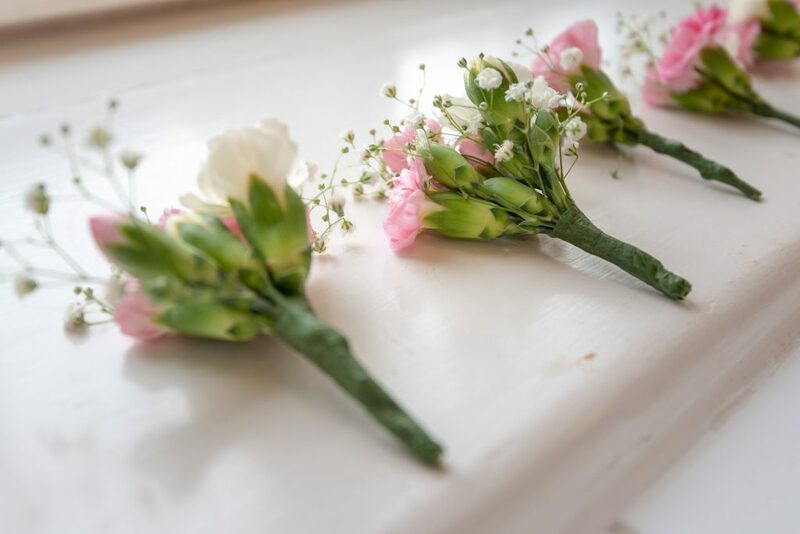 Kingsbridge in the South Hams is a stunning corner of Devon and Buckland Tout-Saints boutique hotel is just perfect if you’re looking for an intimate venue with attentive staff and great food!